Passiontide: The Game, is a new Dominican-themed video game. The game is the brainchild of Dominican Father Thomas More Garrett, OP, a recently-ordained priest assigned to St. Pius V parish in Providence, Rhode Island, and Brother Athanasius Murphy, OP, a student brother preparing for priestly ordination who currently serves as a deacon at St. Dominic parish in southeast Washington, DC. Passiontide: The Game is the result of a planning session held several months ago among a handful of Dominican brothers in priestly formation at the Dominican House of Studies in Washington, DC. “The brothers pursuing priestly studies at the Dominican House come from a variety of backgrounds and possess an interesting set of talents. A few of us got together one afternoon and decided we had the ability to get this idea for a Dominican video game off the ground,” explained Fr. Thomas More. The idea for the game owes its genesis to an inaugural Passiontide liturgy held in 2015 at St. Dominic Church in Washington, DC. The liturgy was organized by Br. Athanasius and drew hundreds of Catholics to the church for an evening of prayer and reflection on the eve of entering Holy Week. In light of the event’s popularity, the parish endeavored to make the liturgy an annual event. Promoting the second annual Passiontide liturgy at St. Dominic Church is one of the purposes behind the game. Reminiscent of video games of the early 1990s, Passiontide: The Game pits a cappa-wearing Dominican friar against a crowd of ghostly Albigensians, the thirteenth-century heretics that the Order of Preachers was originally founded to convert. Journeying to St. Dominic Church along District of Columbia city streets, the hero boosts his score by converting the heretics and redeeming torches and copies of the Summa Theologica, a famous theological work written by Dominican saint Thomas Aquinas between 1265 and 1274 AD. The game arrives during an important time in Dominican history. This year marks the 800th anniversary of the Order’s founding. The 800th Jubilee of the Dominican order is being celebrated throughout the world with a variety of events and opportunities designed to highlight the contributions of the Order of Preachers. Fr. Thomas More and Br. Athanasius also see the game, the first of its kind developed by a Catholic religious order, as a novel initiative in the New Evangelization. “We remain in the springtime of the New Evangelization and we see our work as foray into a relatively untapped area,” explained Br. Athanasius. “Our hope with this product is to inspire others to develop more sophisticated games in an effort to expand the Catholic presence in the video gaming space,” added Fr. Thomas More. While Fr. Thomas More and Br. Athanasius provided overall vision and direction to the creative process, Brs. 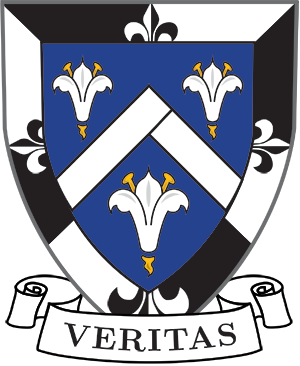 Anthony van Berkum, Thomas Davenport and Irenaeus Dunlevy, all members of the Order of Preachers studying for the priesthood at the Dominican House of Studies, supplied the bulk of the technical development for the product. Br. Justin Bolger, OP, a former RCA recording artist now preparing for the priesthood, drew from Dominican chant melodies to compose the background music for the game. Passiontide: The Game is free to play and is accessible on hand-held devices. Web-users can find the game at http://passiontidedc.appspot.com.